Steve Kaminer’s practice focuses on communications law including broadcasting and wireless issues, as well as matters relating to electronic equipment regulated by the Federal Communications Commission. Steve advises companies and individuals on all aspects of Federal regulation of communications services, facilities and products. 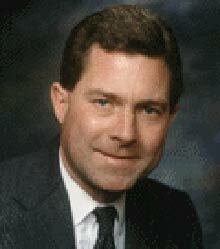 He served at the Federal Communications Commission in various capacities from 1983 until August of 1999. Prior to joining the firm, his most recent position was Legal Advisor to the Chief of the Office of Engineering & Technology. In that capacity, he advised the FCC’s Chief Engineer as to the legal and policy implications of decisions involving spectrum allocation, radiofrequency emissions limits and the Commission’s equipment authorization program. Previously, Steve served as Legal Advisor to FCC Commissioners Sherrie P. Marshall and Mimi Weyforth Dawson. He also served as Deputy Chief of the Policy & Rules Division of the FCC’s Mass Media Bureau and as Acting Chief of the Office of Legislative Affairs. Prior to joining the FCC, Mr. Kaminer was an associate at the New York law firm of White & Case, where he concentrated on securities and corporate law. Mr. Kaminer graduated from Amherst College in 1974. He received his J.D. from Yale Law School in 1979. Steve is a member of the Virginia, District of Columbia, Maryland and New York Bars.